The TacMed™ Convertible Drop Leg Pouch provides the medic/operator with maximum flexibility without compromising the ability to provide on target care. 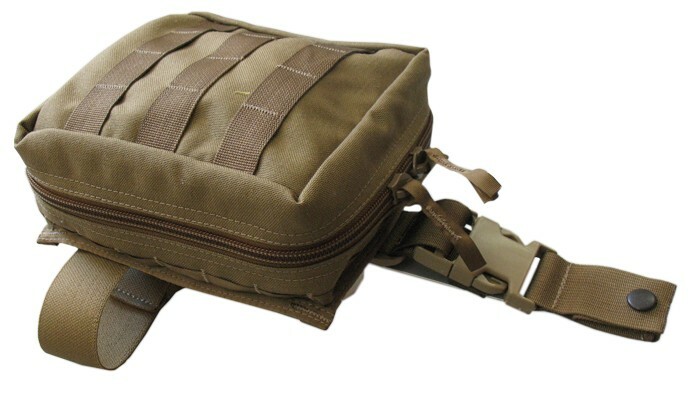 This pouch can be worn on the leg or attached to a MOLLE style vest depending on the users’ preference. 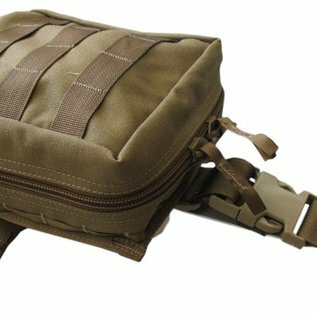 This pouch is offered stocked based on different levels of medical capabilities. All kits can also be custom packed to meet your specific mission requirements. Dimensions- 9.5" x 9" x 2"